Let’s get back to the basics of faith! Today on Believer’s Voice of Victory, Kenneth Copeland gives fundamental insight into the power of what you believe in your heart and speak with your mouth. You have today what you said yesterday! Faith without corresponding action is dead! When you begin to act on what you believe in your heart and say with your mouth, you’ll discover that actions of faith bring victory. Join Kenneth Copeland today on Believer’s Voice of Victory and become a “doer of The WORD” who never gives up until you win! To get back to the basics of faith, we have to learn to be strong in faith! Today on Believer’s Voice of Victory, Kenneth Copeland shares how being strong in faith means you are fully persuaded that God can do what He has promised. This is the kind of faith that gives glory to God, and it belongs to you! When you’re practicing the basics of faith, you don’t want to do things that will shortcut your faith. Watch Kenneth Copeland on this episode of Believer’s Voice of Victory, as he reveals how strife and unrepented sin can limit God’s power. Give place to God’s WORD in the little things of life, and watch your faith go to a whole new level! God’s WORD is the final authority in every situation! 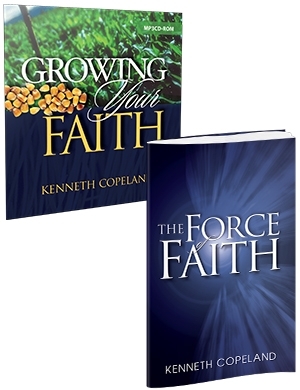 Watch Kenneth Copeland on Believer’s Voice of Victory and see how practicing the basics of faith will strengthen your faith in God and His WORD. Taking God at His WORD and making it the final authority will bring you to new levels of success and effectiveness in every area of life!